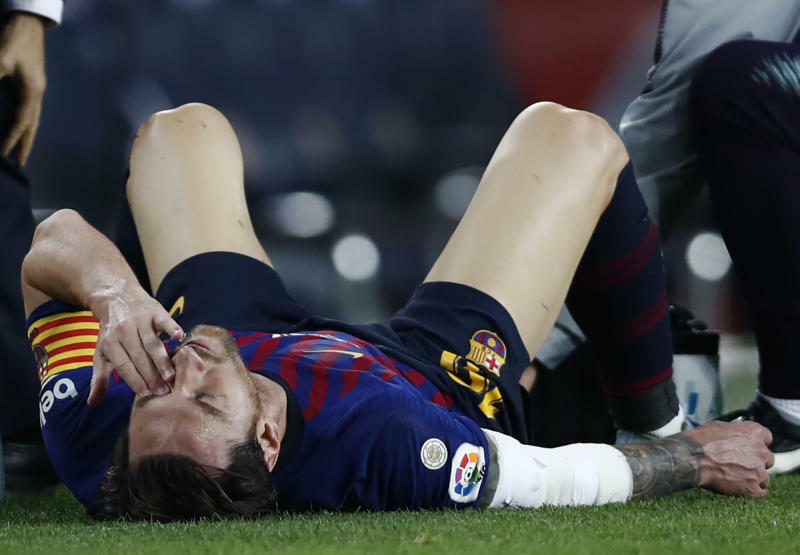 BARCELONA, Spain (AP) — With Lionel Messi out with a broken arm, the two most expensive signings in Barcelona's history have a perfect opportunity to step up and show their value. Barcelona spent more than 300 million euros ($350 million) to sign Brazil midfielder Philippe Coutinho and France forward Ousmane Dembele last season as it reinvested the money — and then some — from Neymar's move to Paris Saint-Germain. 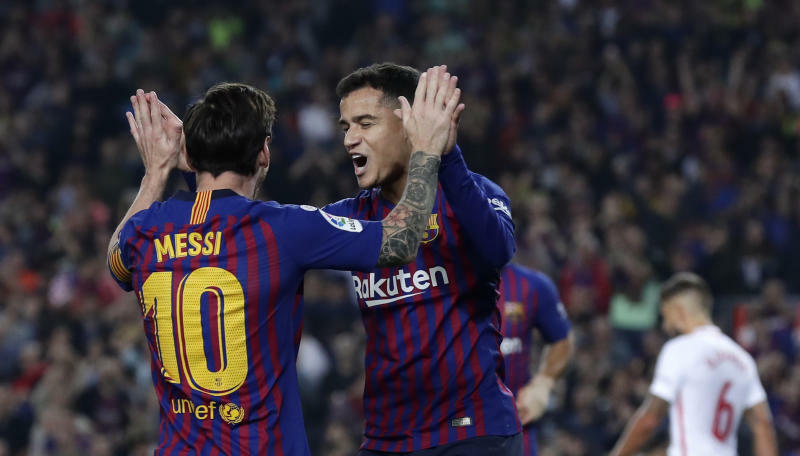 Now, while Barcelona's all-time top scorer recovers, Coutinho and Dembele will be under pressure to lead the team in important games this week. Barcelona hosts Inter Milan on Wednesday seeking a third victory in as many Champions League games. That will be followed by the always demanding "clasico" against Real Madrid at home on Sunday. 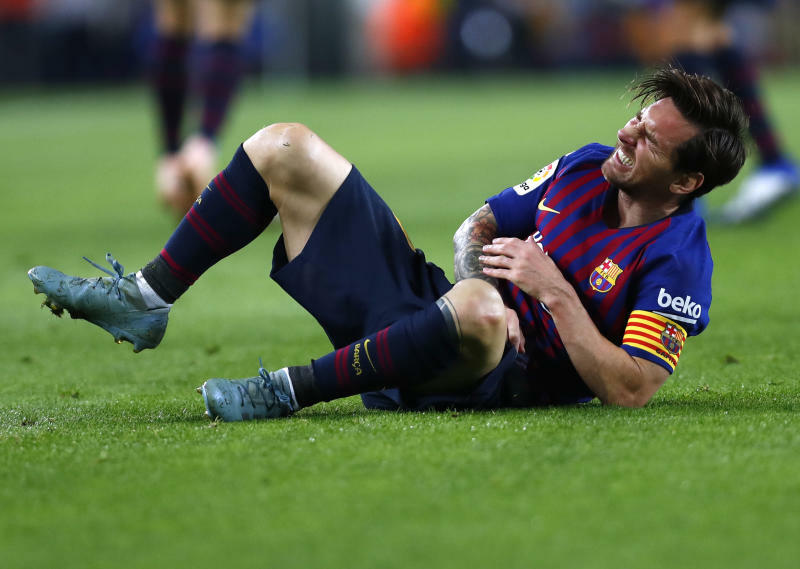 Team doctors expect Messi to also be unavailable for three other games, including a visit to Inter next month. "When (Messi) is with us he gives us a sense of security," Barcelona defender Gerard Pique said. "He is the best in the world. You notice when he is not there, but whether he is with us or not, we have to keep going. We have a good team. We are playing well in time for the big week ahead." Valverde replied "I don't know" when asked if he thought Dembele had lost confidence. "He participated in the start of the season," Valverde said. "He hasn't been a starter in the last three matches, but we are counting on him . He is very talented. We expect a lot from him and we think that he has the capacity to improve." Coutinho arrived from Liverpool in January for 160 million euros ($184 million) as part of the rebuild following Neymar's departure. But despite regular goals, he needs to be more of a playmaker for Barcelona following the departure of Andres Iniesta. Julen Lopetegui's job as Real Madrid coach is in question following a club record scoring drought and a winless run of five consecutive matches. Even though the team won an unprecedented third Champions League in a row, Madrid played poorly in the other competitions during Zidane's final season in charge. "We are completely behind our coach," Marcelo said. "(The media criticism) is unfair. It is like what happened to Benitez. I don't like it when coaches aren't allowed to work."